Written in political exile during the Second World War, The Open Society and its Enemies prophesied the collapse of communism in Eastern Europe and exposed the fatal flaws of socially engineered political systems. Written in political exile during the Second World War and first published in two volumes in 1945, Karl Popper's The Open Society and Its Enemies is one of the most influential books of all time. Hailed by Bertrand Russell as a `vigorous and profound defence of democracy', its now legendary attack on the philosophies of Plato, Hegel and Marx exposed the dangers inherent in centrally planned political systems and through underground editions become an inspiration to lovers of freedom living under communism in Eastern Europe. 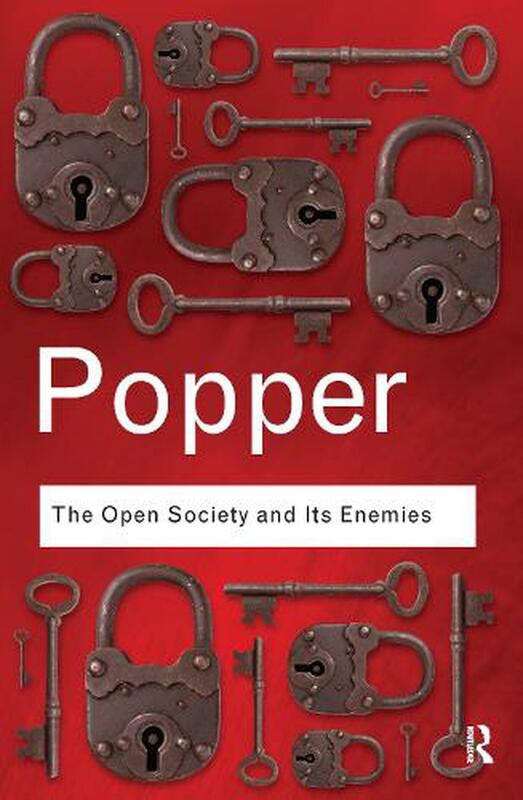 Popper's highly accessible style, his erudite and lucid explanations of the thoughts of great philosophers and the recent resurgence of totalitarian regimes around the world are just three of the reasons for the enduring popularity of The Open Society and Its Enemies and why it demands to be read today and in years to come. Sir Karl Popper was one of the foremost philosophers of the Twentieth century. Born in Vienna in 1902, Popper grew up in a city witnessing great intellectual ferment. His relationship with the philosophers and scientists led to his first book, The Logic of Scientific Discovery, published in 1934. On its publication in English in 1959 it was described by The New Scientist as 'one of the most important documents of the twentieth century'. On the eve of World War Two Popper was forced to flee to New Zealand, where he took up a teaching post at Canterbury University College at Christchurch. It was there, reflecting on the tyranny sweeping through Eastern Europe, that he wrote The Open Society and Its Enemies, published in 1945. In 1946 Popper moved to the London School of Economics, where he taught until his retirement in 1969. This period saw the publication of The Poverty of Historicism, described by the Sunday Times as 'probably the only book which will outlive this century'. He was knighted in 1965 and appointed Companion of Honour in 1982. He died in 1994. One of the few Twentieth Century books to directly address Plato and Hegel ,the two most important philosohers in history. Popper's own scientific positivism is looking a tad weary today under the weight of climate change. But none the less an immensly readable and timeless book.